What To Do About Fungal Nail? One of the most common problems that people experience with fingernails and toenails is fungal nail. The first symptom of this problem is a discoloration that ranges between white, yellow and brown. While many people think green nails means a fungal infection, it is not. Green nails are caused by a certain kind of bacteria. Contrary to popular belief, this is not a harmful condition and if the nails are kept dry the green discoloration will grow out on its own in a matter of months. There are a variety of treatments available for those suffering from nail fungus. For severe cases or those that do not respond to over the counter treatments or home remedies, there are prescription medications that can be given by your doctor. Most of them are orally administered and may be a strain on some of the internal organs such as the liver and/or kidneys. If you have medical problems with your liver or are taking certain other medications, your doctor may be wary about prescribing oral medications for fungus. 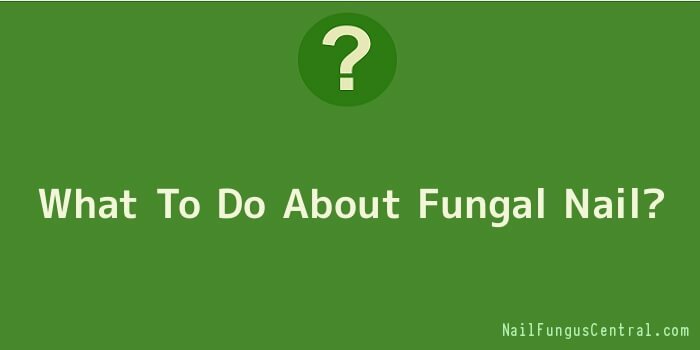 There are some topical treatments that can be used for the problem of fungal fingernail. While experts warn that most topical medications do not penetrate the nail deeply enough, sometimes, topical administrations can be helpful. Try using tea tree oil on a cotton swab, with the goal of dripping the oil under the nail where the fungus is living. Rubbing alcohol is another home remedy. Some people even swear by soaking the nail in yogurt with live active cultures that attack the fungus. Regardless of what remedy you try, taking preventative measures can help you avoid the problem in the first place. To avoid fungal nail, always wear shoes when in locker rooms like those at the gym or local swimming pool. These moist areas are prime breeding grounds for fungus. Flip flops, waterproof sandals or water shoes are a good choice. When in dry areas, choose breathable shoe materials like leather and wear cotton socks so feet stay airy and perspiration free as possible. Do not walk barefoot even outdoors, and if you spot signs of nail fungus, begin treatment as soon as possible. The less fungus you have to deal with, the easier it will be to get rid of. Left untreated, fungus can cause nail thickening, crumbling and pain.